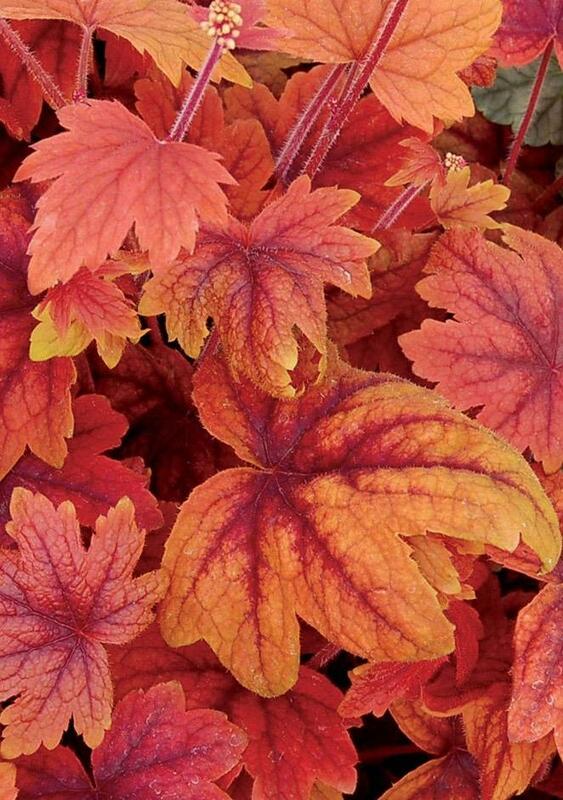 Evergreen palmate deeply lobed burnt orange leaves with darker veins and central blotch. Wiry stems with small starry white flowers June to August. Shade loving. 45cm tall. Good in containers.